This is a fun and fast way for us to explain what we do, but also an inspiration source for you. We want it to be like a dictionary for naming – hence the layout. 1 from the heart, or warmly intended. 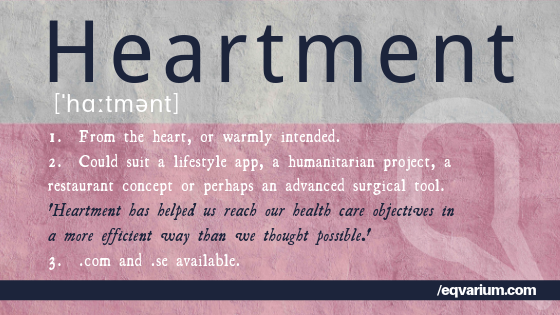 2 could suit a lifestyle app, a humanitarian project, a restaurant concept or perhaps an advanced surgical tool. 3 .com and .se available. Feel free to discuss the names with us in the comments section.